In his second guest blog James Wood, a voluntary reading mentor in schools, explains why he believes reading is so important to children’s development. In issue 1 of Dawn of the Unread we see a teenage boy in Nottingham bored of reading and unwilling to pay much for a book, but as soon as he discovers there are stories set in his home city, he is hooked on reading. This youth is also on his mobile phone, engaged in a world that is often seen to be annihilating serious reading once children reach adolescence. In today’s society, children and young adults spend more time reading snippets of information, such as skimming through online articles, status updates, and social media messages. This has led to concerns that millennials are finding it harder to engage with ‘deep’ reading, which has clear implications for our ability to concentrate. Literacy levels in the UK have been seen to improve in recent years according to the National Literacy Trust, with roughly 86% of eleven year olds meeting a level 4 target in reading, with a lower 67% in writing. Although these levels do seem fairly good, its clear work is still needed to increase pupils reading and writing skills. In Nottingham, the statistics are a cause for worry, with only 77% of pupils gaining a level four or higher in level two SATs, the worst ranked city in the East Midlands with 79% being the average. This is also a national problem. Six out of ten teenagers in Nottingham are leaving school without five A* to C GCSE grades, including English and maths. Another issue facing literacy levels in Nottingham is that there are less publishers in the Midlands than many other areas of the country as the UK book industry statistics 2015 suggest. The ambiguity of the future for Angel Row Library is another concern, after the selling off of the Central Library site in December 2016. But has this really got anything to do with the levels of people reading? According to the National Literacy Trust it is difficult to measure weather children today are reading less than in the past, as although literacy levels are on the increase, children don’t seem to read so much for enjoyment, but this is hard to prove. What seems clear is that it is becoming harder to engage pupils in reading inside and outside the classroom environment. I was involved in a reading scheme for Year 7’s a few years ago while studying my A levels, I was surprised how difficult it was to get children to concentrate on reading books. The children seemed more interested in the use of technology such as using social media and playing games on consoles and tablets. The interactive world is replacing books, this means new ways need to be found to engage children in literacy and reading. Schemes such as Dawn of the Unread work to achieve this by offering multiple ways into the text through a comic serial, embedded content, YouTube videos, an App, and of course, a physical book. So why is reading so important? Well firstly, the 21st century, although an interactive world, still requires people to be literate. Information online is still published using words, is it not? With the exception of videos (which often still includes subtitles or information), the interactive world requires people to be more literate than ever. This is one reason why schools use online resources so much now in order to prepare students to be able to use the interactive world while reading and learning. Moreover, reading stimulates the mind, creates ideas, and helps the imagination to thrive, as well as teaching people in a variety of ways. Those who are illiterate in the 21st century have little or no chance of success, however even those who don’t make an effort to read but are still literate have little chance of doing particularly well, reading is a major part of 21st century life. Language structures our world and so is clearly extremely important for children to learn and develop through reading. Social media and the online world are slowly replacing the physical world of reading – as this blog is testament to. This makes good literacy skills more important than ever in an interactive world. Every waking moment of our lives involves language and literacy. We use the internet to search and learn, we need language and good literacy skills in order to use it successfully. Although all these things are of extremely high importance, one thing is often overlooked in the 21st century… reading provides children and adults with recreation and escapism from the constantly bustling and busy modern world. Reading teaches us about the world through non-fiction books. Fictional reading however provides imagination and escapism that is essential for dealing with stress, and creates enjoyment and entertainment. Reading isn’t only essential for learning and being literate, it is also essential for its positive effect on the brain by stimulating imagination, and its effect as a relaxing, recreational form of entertainment. One year ago I attended a meeting at the Galleries of Justice with 25 people about a project called Journey to Justice (JtoJ). The day was planned with our partners: Sharon Monteith, Founding Co-director of Centre for Research in Race and Rights (C3R), Rosemary Pearce then of C3R and Bev Baker (Senior Curator and Archivist at GOJ), Tim Desmond (CEO of GOJ) and Midlands 3 Cities with PhD student Scott Weightman, JtoJ local organiser. The remit of JtoJ is “to inspire and empower people to take action for social justice through learning about human rights movements.” This voluntary organisation initially focussed on the US civil rights movement, taking Dr. Martin Luther King’s timeless message of solidarity, “whatever affects one directly, affects all indirectly,” as their mantra. The first major project of JtoJ was a touring exhibition that focussed on the principles of the U.S civil rights movement. This has slowly developed and spread around the globe, linking with other activists to promote and educate about issues that specifically relate to local communities. We were shown case studies of how other cities had got involved and I was quite taken by the scope and ambition of the project, particularly the ease with which organisations were able to collaborate and promote various causes. Nottingham, as a former ‘factory city’ with a real mix of identities and ethnicities, has a long history of activism so we were pretty spoilt for choice when trying to find causes we could promote. Some of the issues raised were: Nottingham’s refugee history; Streetwise Opera – homeless and non-homeless performers; Sash (Salaam Shalom) a Muslim/Jewish weekly soup kitchen and food bank; October Dialogues – Black History; Polish homeless men project; History of the 1958 race riots and colour bar; Child Migrant Trust HQ in Nottingham; Radical Walks; Women’s History Group; Bread and Roses Theatre group; Creating a school and FE resource packs; Nottingham’s first UK Black Lives Matter chapter. 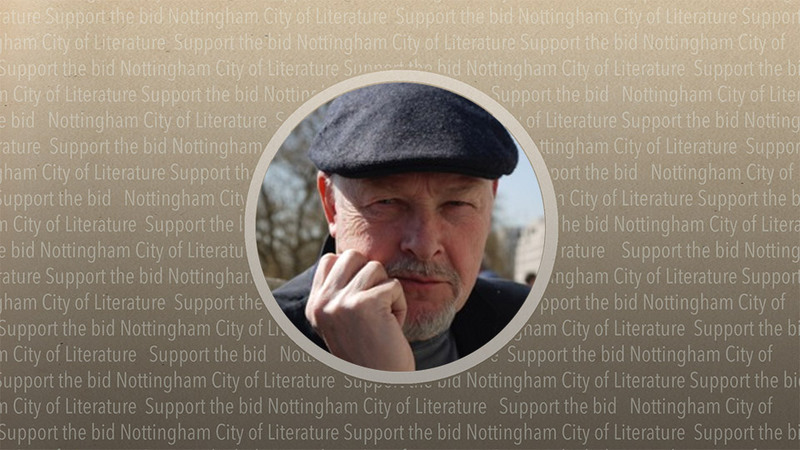 I was there as a representative of Nottingham UNESCO city of literature and Dawn of the Unread. When Dawn of the Unread was created in 2014 I positioned illiteracy as a form of child abuse. Therefore, it is a human rights issue to me. It has been proven through countless research that an inability to read or write has profound effects upon a person’s life from their ‘trust’ in society to whether they become a home owner. Nottingham is below the regional and national average for literacy levels and so there is additional reasons to fight this cause. Within the Dawn of the Unread comic serial we have championed other identity politics, from the Operative Libraries of the 1800s that empowered workers to self-educate and demands rights from employers to the #readwomen campaign that addressed gender inequalities within publishing. We explored the lack of representation of Black history in our final issue via George Africanus and George Powe, poiting our readers towards the work of Nottingham Black Archives (who were at the JtoJ) event as well as inspirational figures such as Norma Gregory. In this first of four guest blogs, Nottingham Trent University student James Wood shares his experience of mentoring in schools and why he believes this can help the development of literacy skills. Nottingham is a city which has been struggling with literacy levels and attainment over the last few years, with many children in Nottingham living in relative poverty. According to Nottinghamshire County Council in 2014, 17.1% of children in Nottinghamshire were living in poverty. This means 27,920 children aged 0-19. Work needs to be done to help improve education and access to learning and literacy for pupils, and mentoring is a great way to do this. Mentoring can be great for encouraging development in pupils through one-to-one sessions. By taking the time to privately mentor pupils, a great deal can be discovered about the way that individuals learn, and sessions can be tailored to help improve their skills, attainment and educational experience in a way that suits them best. In the last few years Nottingham Trent University has set up a scheme in order to encourage pupil’s development in literacy, academic subjects and skills based development through mentoring in local schools. The mentoring scheme also aims to create an awareness of the benefits of higher education and encourage pupils to pursue university, apprenticeships, sixth form or college. I have been lucky enough to be a member of this scheme for the last two years. Mentoring can help pupils to find out the best way for them to read, revise, work and learn. The scheme involves each mentor tutoring four pupils in local Nottingham schools for one hour a week each in a variety of academic and personal skills subjects. I have sessions in subjects such as CV building, dealing with stress, organisation, revision skills, speech skills, aspirations, higher education and GCSE topics. Planning is required for each session to ensure it runs smoothly and meets the specific needs of individuals. Through this scheme I have realised the importance of mentoring in education to schools and children’s development. And for good reason! Mentors from higher education backgrounds bring recent experiences of school life that are relatable to the mentee, allowing them to connect with their mentor better than with many teachers. University students understand the hardship of the current education system, as well as the life of a pupil, which is appreciated, as it reassures these young people that university students can relate to their situation. However, some pupils may feel threatened by someone from university, they may see successful students doing a degree as a nerd or ‘one of those’. These pupils feel like they are very different to their university mentors and so may feel alienated. However, schemes such as Nottingham Trent’s ‘Students in Classrooms’ can help to promote the relationship and similarities between mentors from university backgrounds and mentees. I have mentored students with behaviour problems, something I have never had, but the pupils can relate to me in others ways, as I understand the pressures and stresses of school life. Through conversations with me they have hopefully come to realise how interesting and exciting university life is, often asking questions about what it is like to study a degree, the costs, what it is like to live on my own or pay rent, as well as how I got to university. In schools there isn’t much time prioritised for developing non-academic skills. Instead, teachers tend to focus more on writing, reading, maths and scientific skills. Although teachers do improve pupil’s literacy skills, in certain cases teachers find it hard to encourage reading. Mentors, who are not constrained by performance statistics and the everyday pressures expected of a teacher, are able to offer support to pupils that goes beyond the curriculum. Mentors can use their own experiences to suggest reading that pupils may enjoy, such as the Dawn of the Unread comic book series which isn’t on the curriculum, but which offers snippets into the lives of local literary figures, with the aim of encouraging pupils to go out and discover more about these writers for themselves.For example, I had one student who likes to write his own poetry and wants to write books, so I recommended he read some romanticist and modernist poetry as well as get some experience in what good literature looks like by reading Orwell’s Nineteen Eighty-Four. Mentors can also pass on and demonstrate the skills they have developed and can use in everyday and working life, which will encourage pupils that reading a wide variety of books, is massively beneficial. After two years of working in schools I firmly believe that mentoring can massively improve individual student’s attainment levels and literacy skills, as well as encourage reading. Therefore, I feel it is important and should be co-operated more into the education system, not just in Nottingham, but in other areas in which attainment and literacy levels are low, or access to satisfactory education is limited.